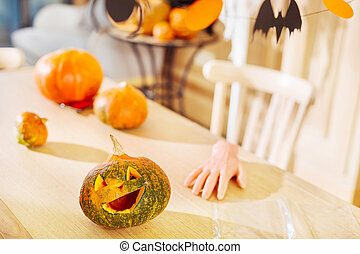 Close up of carved halloween pumpkins on table. 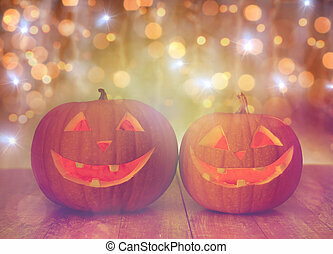 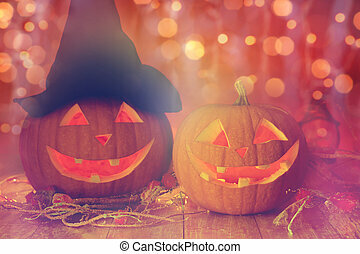 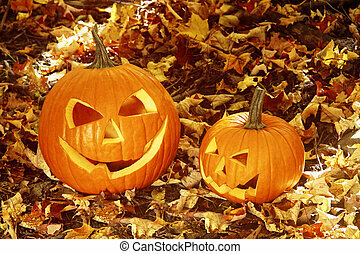 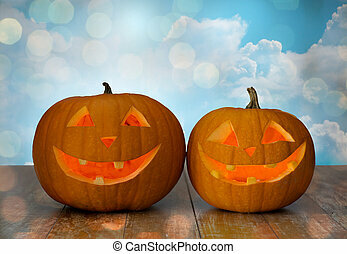 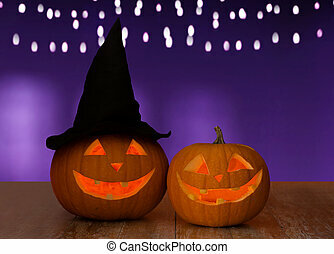 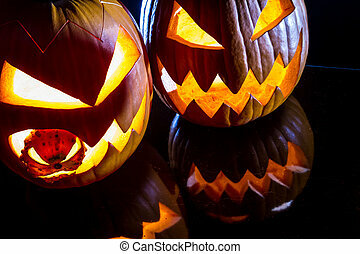 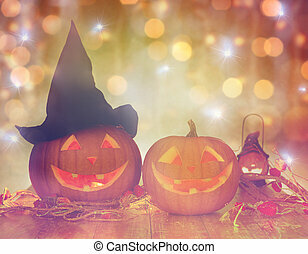 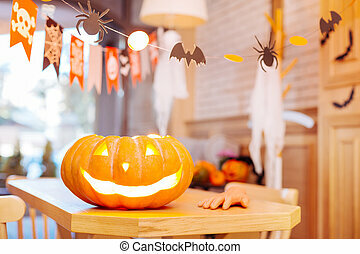 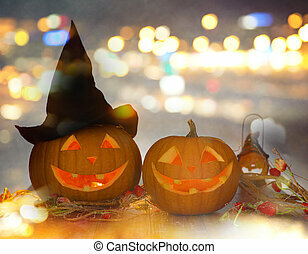 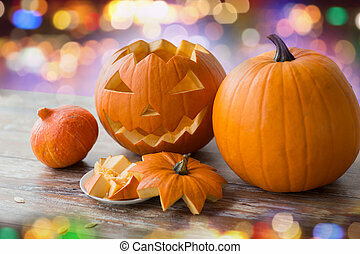 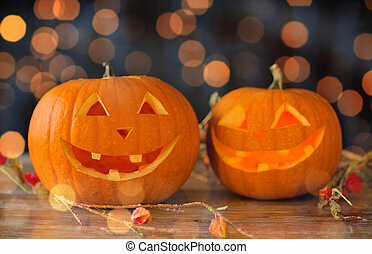 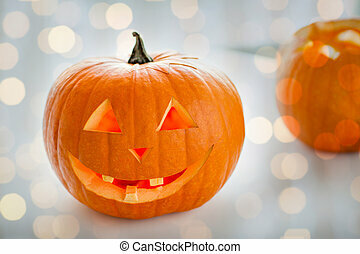 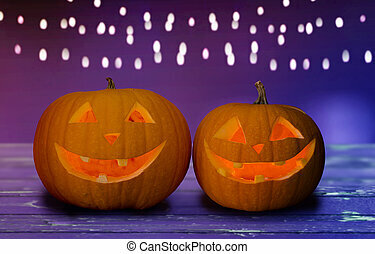 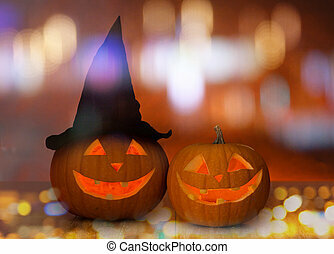 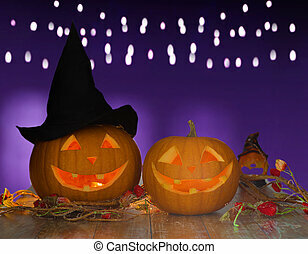 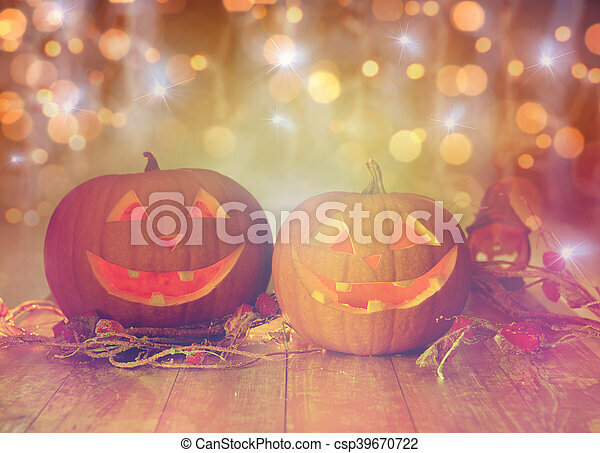 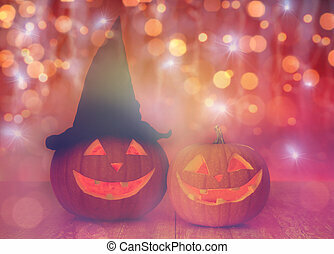 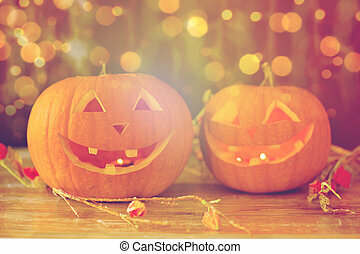 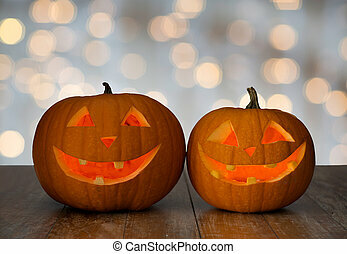 Holidays, halloween and decoration concept - close up of carved pumpkins with smiley faces on table over lights. 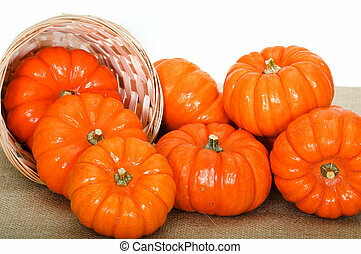 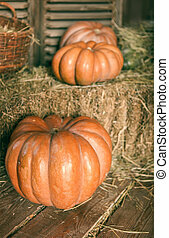 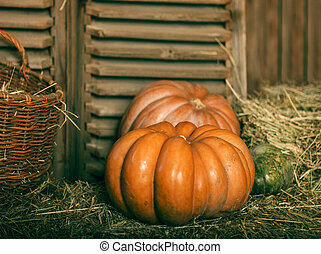 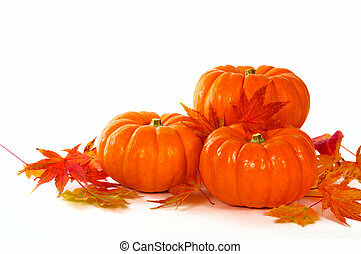 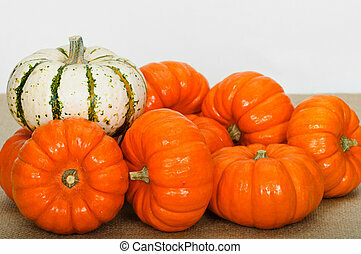 Close up composition of pumpkins and leaves on the table. 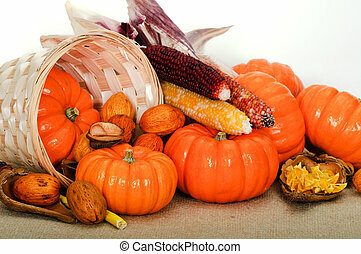 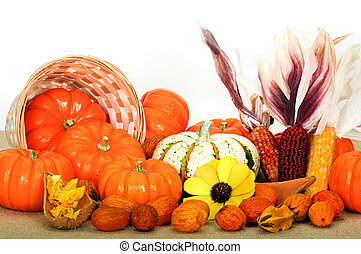 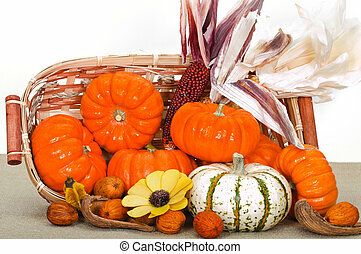 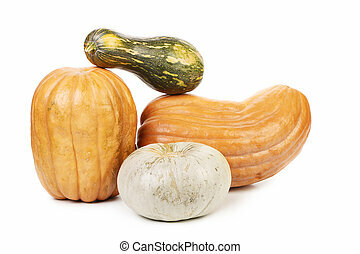 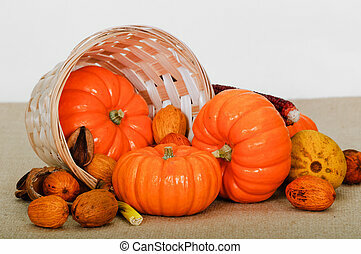 Close up composition of pumpkins, nuts and corns on the table. 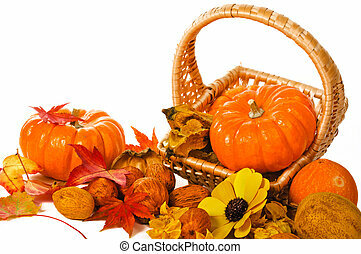 Close up composition of pumpkins, nuts and leaves on the table.